President Duterte defends family's wealth as acquired prior to his presidency and therefore "not public funds." Problem is that he didn't disclose it in his SALN as law demands. He should heed advice of someone who's been in that predicament and paid dearly for her mistake---ousted CJ Sereno. She advises him to heed PCIJ's queries on wealth, lest he suffers same fate. President Duterte was reported to be very upset over the recent report of the Philippine Center for Investigative Journalism (PCIJ) about the alleged great wealth of his family---said to stem from a reportedly unregistered law firm of his family and other undisclosed business interests. The PCIJ report was cited by the Inquirer to have delved on "significant increases in the income of the President and his children, Davao City Mayor Sara Duterte Carpio and former Vice Mayor Paolo Duterte while they were in office." The PCIJ report cited statements of assets, liabilities and net work (SALNs) of the President, Sara and Paolo, that appear to buttress the fact that the Dutertes have a law firm that's not registered with the Securities and Exchange Commission. According to PDI, the law firm put up by Sara and her husband in 2008 even opened an office in Mandaue City last Feb. 13, and its clients included cigarette maker Mighty Corp, Panay Electric Co and those that deal with the Bureau of Customs. The PCIJ report cited Mr. Duterte as a partner at a certain law firm, but it said that he did not declare his interest in the firm in his SALN. As quoted by PDI, the President stressed that "the law firm was a necessary option for their family" and that "other people had no business poking into their affairs, as long as it did not involve public funds." Mr. Duterte was quoted as asserting that "Whatever his family earns outside of politics is nobody's business." Accusing PCIJ of being a "paid hack used by his enemies to smear his family's name and reputation," he insisted that "Our law firms and what happened to our business partnership, it's not your ...business. It's my worry, for as long as it's not the people's money." It's easy to see that this latest revelation about the Duterte family would put the President right smack in the center of controversy once again, as the law is very specific about candidates offering themselves for public posts. The law covering SALN requires candidates to divulge all their assets and liabilities past and present---where their wealth came from. In this case, according to the PDI report, "The series delved on the significant increases in the incomes of the President and his children," while they were in their respective elective offices in Davao. Inquirer traced the President's net worth from his office as former mayor at P9.69 M in 2007, to P28.54 M in 2017. Likewise, according to Inquirer, Sara Duterte's net worth jumped 51.8% ---from P7.25M in 2007 to P44.83 M, while that of Paolo Duterte jumped 233 percent, from P8.34M to P27.74M. The newspaper also cited the presidential family's "interests and engagements in at least 23 corporate entities but did not consistently declare them in their SALNs." Moreover, even if the President stresses that he has distanced himself from law practice and the family firm that's run by his children and in-laws, still there could be the lingering public suspicion that clients of the law firm could be receiving special treatment and accommodation. This could be presumed from the fair assumption that the law firm run by Mr. Duterte's children and in-law (Sara's husband, lawyer Maneses Carpio, could do a lot for their clients during his administration. There's tremendous potential for violation of the law in this kind of set-up, which is doubtless why the law on divestment and declaration of one's SALN by a public official is very specific. Thus, Mr. Duterte's argument that his family earnings from this law office are "outside of politics" will have to be justified to the SEC, the BIR and other supervisory government agencies, to hold water---but perhaps some folks would be quite skeptical about such declaration. One former official who, I imagine, could not prevent herself from weighing on this issue of the presidential family's wealth and their non-declaration of certain business activities in their SALN was one who suffered tremendously---precisely because of her alleged failure to incorporate certain relatively minor details in her SALN when she was still a UP professor. Ma. Lourdes Sereno, who was ousted from office as Chief Magistrate over questions about the inaccuracy of her SALN, asserted in an interview by Inquirer that Mr. Duterte and his family ought to respond to the queries raised about their wealth by the recent PCIJ report. Said Sereno, as quoted in the Inquirer yesterday, April 09, 2019: the President could not invoke the argument that "it's nobody's business," further asserting that it is clear that the people need an explanation. (President Duterte) is not being accused (of any crime or violation) as of now." She was further quoted as saying, "I believe that we (government officials) should display a simple lifestyle. If an official is suspiciously wealthy, there should be an explanation. And the explanation should be made public." The PCIJ staff claim that efforts to communicate with the Duterte family on this subject were not responded to. Perhaps the presidential family ought to listen to---more than anybody else---former CJ Sereno, as she ran into a worst luck because of a single omission in her SALN. She failed to declare her fees as UP professor, prior to her appointment to the High Court, arguing during her impeachment trial later that her efforts to recover those records yielded nothing from the UP. In the scheme of things, the omission in |Sereno's SALN---her professor's fees from the UP---is peanuts compared to the earnings of the Dutertes. But because of her defective SALN she went down in the SC's history as the second CJ to be ousted (the first was CJ Renato Corona, but the issue against him was more of a political nature than Sereno's). Full disclosure of SALN details sounds like pretty sensible advice from the ex-CJ to the presidential family. President Duterte has the prayers of entire Filipino people in war vs.drugs, but he has to get to the bottom of the allegation of ex-Police Senior Supt.& PMA class 1989 grad Eduardo Acierto that Davaoeños close to the President are involved in drug trade. Former Police Senior Supt. & PMA class 1989 grad Eduardo Acierto denouncing alleged drug operatives in Davao. I laud President Duterte's candor in recently admitting that the drug problem in our country "has worsened." The prayers of all Filipinos should accompany the Chief Executive as he battles this horrible problem that's destroying the lives of many of our people, particularly the youth. Having said that, I join all citizens who love our country and care for its future, in calling on Mr. Duterte to do far more than he is doing now to combat this menace in our midst. If he puts his whole effort into this fight against drugs---without fear or favor---he would have the support and prayers of all Filipinos, as we all don't want our country to become another Mexico or Colombia. Putting his heart and soul into the battle vs. drugs could be something up close and personal for the President. Note for instance, the recent "true confession" of former Police Senior Superintendent Eduardo Acierto, member of PMA Class 1989, as published in the Philippine Daily Inquirer last March 26. 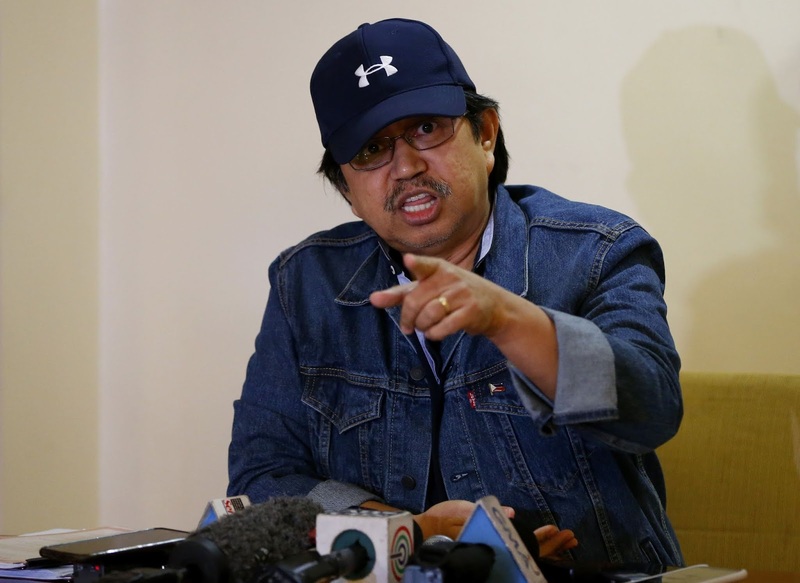 Acierto claimed that he went into hiding after he was implicated in the smuggling of P11 billion worth of shabu into the country some two or three months ago---that was exposed by a brave and heroic woman customs official named Ma. Lourdes Mangaoang (whom Cecile Alvarez and I interviewed over our dzRH Sunday program). The smuggled shabu was stuffed into four magnetic lifters that arrived in the Manila International Container Terminal and was subsequently spirited out to a Cavite warehouse by Chinese-looking persons riding in Mercedes Benzes. The incident was blasted all over media and resulted in the sacking of the MICT manager and his replacement by a new official. Now along comes former Police Senior Supt. and PMAyer Eduardo Acierto, who was earlier dismissed from the service allegedly because of his having sold assault rifles to communist rebels. Acierto, speaking to an intimate media group as disclosed by the Inquirer, now claims that his life is in danger after he informed Malacanang that "two Chinese nationals close to President Duterte were involved in the narcotics trade." Acierto claimed that the two Chinese nationals whom he identified as Michael Yang, a wealthy businessman based in Davao City, who was reported to act as the President's economic adviser for a time, and a certain Allan Lim, are quite close to the President. Acierto alleged, however, that perhaps Mr. Duterte doesn't know about their illegal activities---such as their supposed involvement in "the operations of clandestine shabu laboratories in Davao and Cagayan de Oro and their connection with alleged Chinese drug lord Johnson Chua." The complication lies in that Mr. Duterte, as reported in the Inquirer, in a meeting with members of the PMA Alumni Association Inc.,cleared Michael Yang, stressing that the latter is close to Chinese Ambassador Zhao Jinhua--- so that the envoy even sleeps in Yang's residence whenever he comes to Davao. In fact, noted Mr. Duterte, Michael Yang was a member of the entourage of Chinese Premier Li Keqiang when the latter visited Manila last year. Obviously President Duterte does not believe Acierto's story regarding the alleged involvement of Yang in drugs---even after the ex-police and PMAyer claimed that Yang and Lim allegedly received P50,000 per kilogram each as their share for facilitating the smuggling of P11B worth of shabu into the country.via the MICT. Acierto also claimed that the "Davao group" has put up a P15-million reward to kill him. It's a tight fix for the former PMAyer '89, as apparently the President does not believe his claims either about the alleged involvement of the two Chinese nationals in the MICT shabu smuggling two months ago---nor Acierto's story about the bounty on his head by the "Davao Group." The Inquirer story whereby Acierto links the "Davao Group" to drug smuggling is staggering---particularly since the Chinese nationals named by Acierto are from Mr. Duterte's backyard and are apparently well-known to him. They also have their links to the Chinese ambassador and officialdom. Mr. Duterte, however, cannot afford to ignore ex-police officer Acierto's allegations as it's something that a man with the latter's background cannot afford to make---unless there is some truth to it. Moreover, the dramatis personae cited are from Mr. Duterte's territory. Indeed, as he claims, the drug problem in this country has worsened and his decisive moves to curtail it, perhaps right in his home-ground, are much awaited by an increasingly concerned citizenry---with loads of prayers for him and his efforts. Let's pray, too, for the safety and deliverance of former police officer Eduardo Acierto---may his guardian angel watch over him and his family.